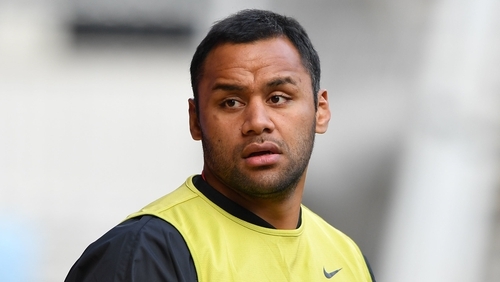 Saracens Director of Rugby Mark McCall has confirmed that Billy Vunipola will be available for selection for this Saturday's Champions Cup semi-final against Munster at the Ricoh Arena. The England number 8 came out in defence of Australia's Israel Folau, who recently posted on Instagram that "hell awaits" for "drunks, homosexuals, adulterers, liars, fornicators, thieves, atheists, idolators". Vunipola liked the post, and then decided to take to the social media site in defence of the Aussie full-back. "He’s saying how we live our lives needs to be closer to how God intended them to be. Man was made for woman to pro create that was the goal no?" It led him to being booed on Saturday at Ashton Gate as Sarries fell to a last minute defeat to Bristol, thanks to an Ian Madigan penalty. After the game McCall insisted that any punishment for Vunipola would be an internal matter for club, and he confirmed to RTÉ Sport today that no suspensions have been handed out. "Billy will be available, yeah," said McCall. And that was it, short, and to the point. 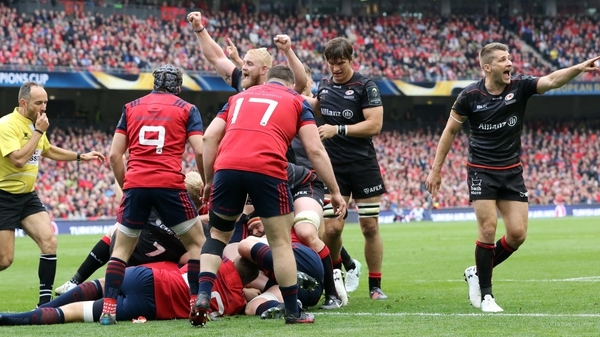 The English club have a good record against Munster, having beaten them in their last two clashes in England, as well as the most recent game between the pair. That was the 2017 Champions Cup semi-final in Dublin, when Vunipola scored a try in 26-10 victory. "There are elements from both teams which are still similar," said McCall when asked to compare the teams that played that day to the squads heading into Saturday's game. "It's still going to be a really close contest all the way through. It's a matter of winning inches and yards for large parts of the match. You've got to be good enough to take advantage of momentum when you've got it, and you have to be resilient when they've got it. "But I always think it's dangerous to look back too far. I would be much more concerned about looking at some of their more recent performances, the present day Munster rather than the one we played two years ago." This season, Munster have played the teams on either side of Saracens in the Premiership, leaders Exeter and third-placed Gloucester, and have managed three wins and a draw. McCall stressed that those results show how much quality Johann van Grann's side have. "(It showed) just how tough they are to break down, how tough they are to play against. It's difficult to get quick ball against them. "Their defence is the area where I'd say they've most improved. It's difficult to win good set piece ball against, and they've added some strings to their bow in attack. "They did a very good job at home against Exeter, who are flying in our competition over here. Exeter scored a try after 12 minutes, and they kept them scoreless after that, which is a heck of an achievement." Munster look likely to be without Joey Carbery for the game, although Keith Earls returned to full training on Monday. Follow Munster v Saracens (kick-off 5.30pm, Saturday) & Leinster v Toulouse (3.15pm, Sunday) via our live blog on RTÉ.ie/sport and the News Now app. Listen to live national radio commentary of Leinster v Toulouse on RTÉ Radio 1's Sunday Sport.